Our Principals and Associates are seasoned, experienced veterans in management consulting, technology, and communications in multiple industry sectors. All of our Principals have 25 years or more of professional experience in leading Canadian and international firms with a focus on the intersection of business and IT. They have successfully focused on creating and harvesting business value from investments in technology, they have expertise in helping organizations realize revenue and cost benefits from new technologies, enhanced business processes, IT systems and applications and the organizational changes required to support such innovations. Causal Effects Inc. seeks to become the standard of excellence in the delivery of professional services to senior and executive business leaders. Our goal is to capture and optimize the business benefits and enhanced operational performance that can be guided by leveraging diverse information assets and capabilities. Maintaining and reaching this goal can only be achieved through our network of Associates. 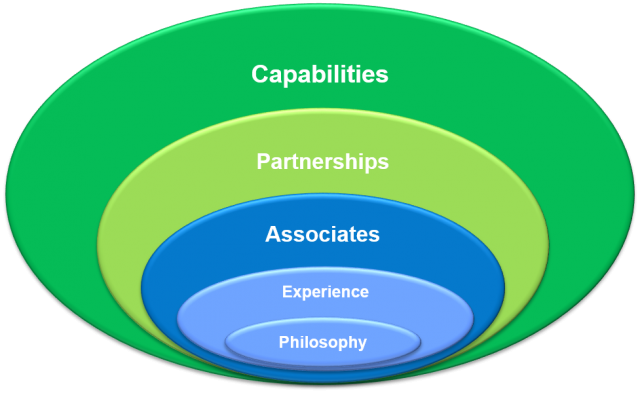 Our Associates enjoy Causal Effects Inc. as their place to grow personally and professionally, to network, and collaborate with exceptional Partners to bring market leading capabilities and business results to our customers. Our team has experience providing a full range of professional services to Fortune 500 level organizations, from strategy development to operational improvement --including technology delivery and implementation. We have successfully worked with Executive Leadership Teams and CIOs to manage, create and capture value from technology programs in numerous public and private sector organizations. This has been accomplished by applying our thorough understanding of enterprise functions and departments and understanding of how technology and IT solutions or applications can be leveraged to deliver operational efficiencies, reduce costs and enhance revenue opportunities. Causal Effects Inc. supports customer's initiatives by bringing together the capabilities of leading edge suppliers of information systems and applications or platforms along with the expertise and capabilities of our Principles and network of Associates. Our Partners offer breakthrough products and services in areas such as Digital Eco-System and Application Performance Management (APM), BI, Visualization, and ITAM that enable Causal Effects customers to achieve superior business outcomes.